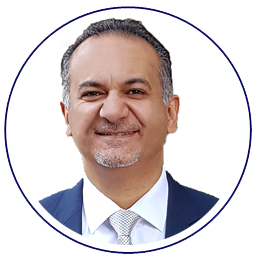 With 20 years of experience in corporate finance and private equity in the MENA region, Mr. Tamer has concluded over 35 SME transactions in over 20 industries. Mr. Tamer obtained his Bachelor’s degree in Commerce from McGill University and his post-graduate degree in Accounting from Concordia University in Canada. He is a Canadian Chartered Accountant (CA) and a US Chartered Financial Analyst (CFA) Charterholder. Group CEO of Rasmala Investment Bank, with USD 1.3 billion in assets under management. Senior Advisor to the Dubai Financial Market. Financial services Consultant and auditor at Ernst & Young in Dubai and Deloitte in Canada and Cayman Islands. Board Member and Member of the Executive and Audit Committees since 2011 – ENBD Capital, Saudi Arabia. Board Member and member of the Investment Committee - Palestine Investment Fund. Member of Investment Committee of MENA Fund – Middle East Venture Partners (largest MENA VC). Founder & Chairman – CFA Emirates, a professional society with over 750 members. Chairman – Masterminds Education, an education provider with US franchising rights to 18 markets. Board Member – Mobicash Markets, an emerging markets focused mobile payments company. Board Member & Member of the Executive Committee – Awj Investments Ltd., a Casual Dining company with 5 homegrown concepts. Board Member and member of the Investment Committee – Dubai Angel investors, with 90 leading MENA professionals as investors enabling regional entrepreneurs with capital and mentorship. Mr. Bazzari is supported by a professional team with relevant Corporate Finance and Private Equity experience in MENA.